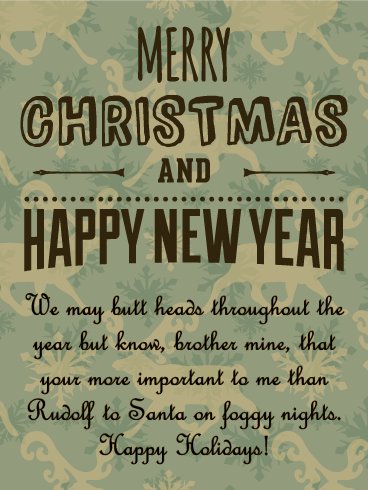 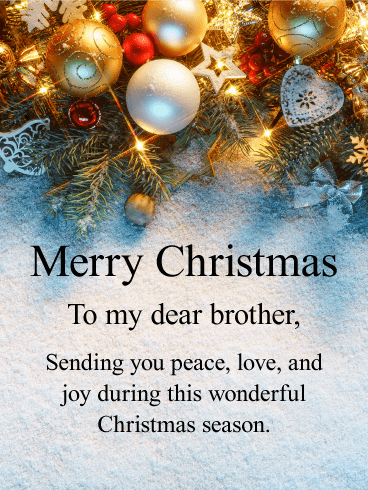 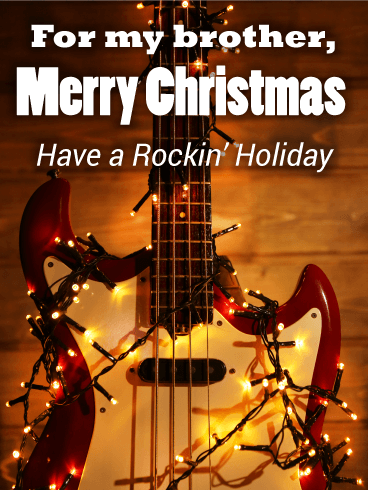 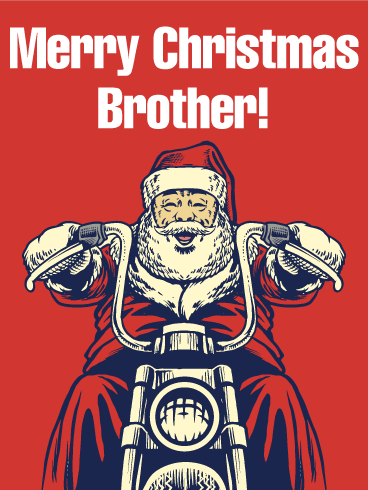 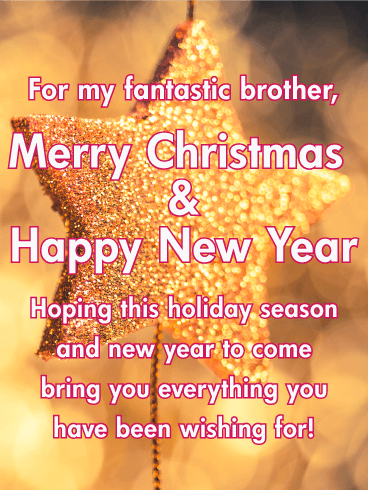 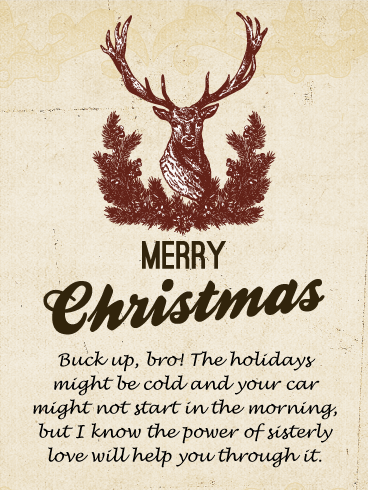 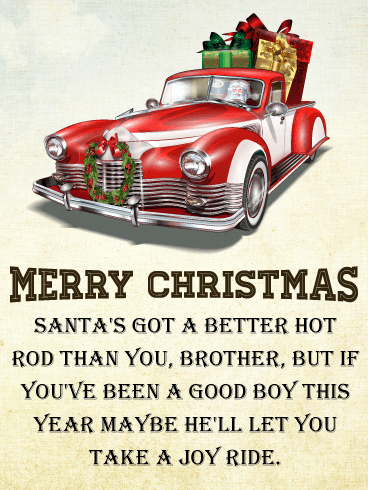 If you and your brother will be apart this holiday season, now is the time to choose a very special card to wish him a Merry Christmas and tell him how dear he is to you. 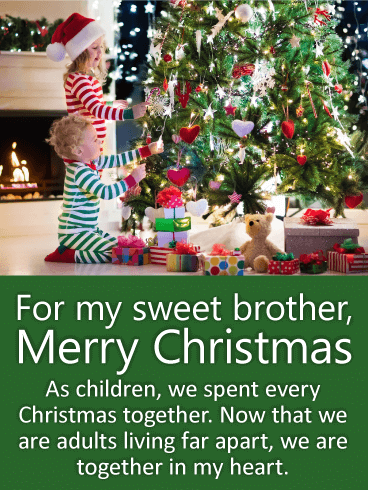 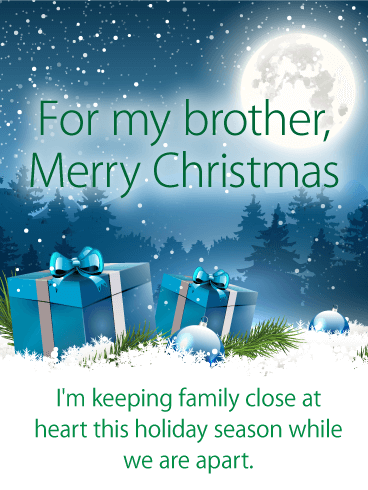 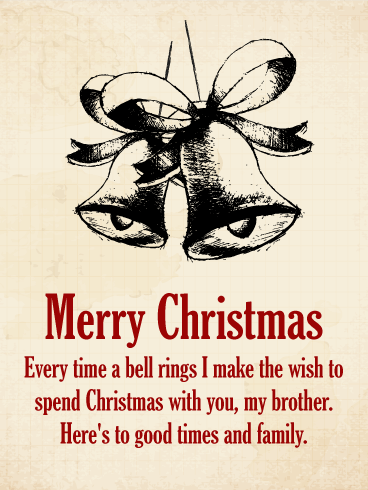 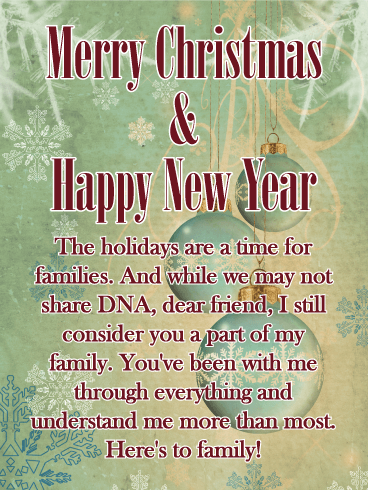 This thoughtful Christmas card will let your brother know that even though you are not together during this special time of year, that he is being kept close at heart. 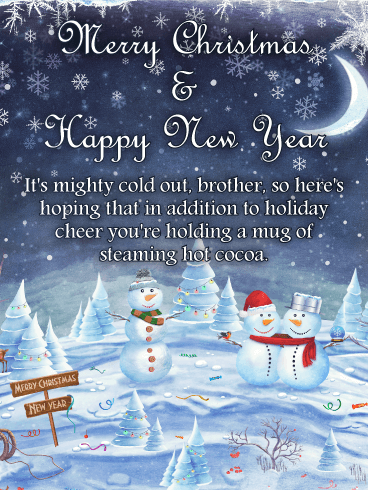 The beautiful shades of blue and bright whites set the mood for this caring card. 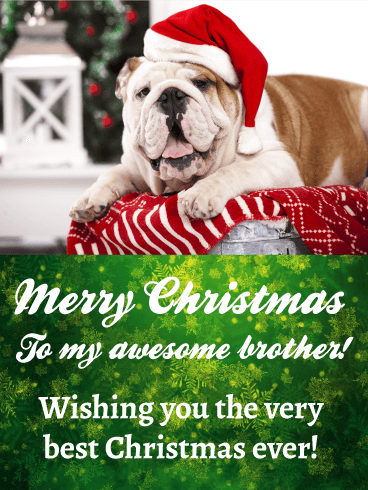 Let your brother know how special the holiday season is with him in your life by sending this meaningful Merry Christmas card. 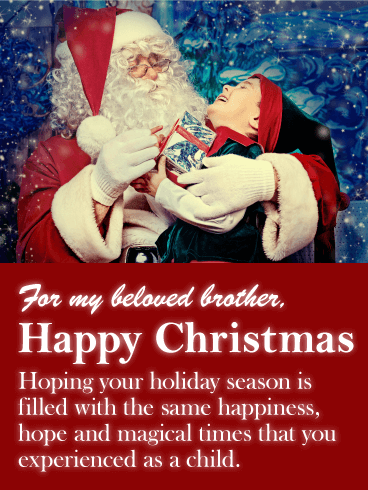 It will surely remind him of how much he is loved. 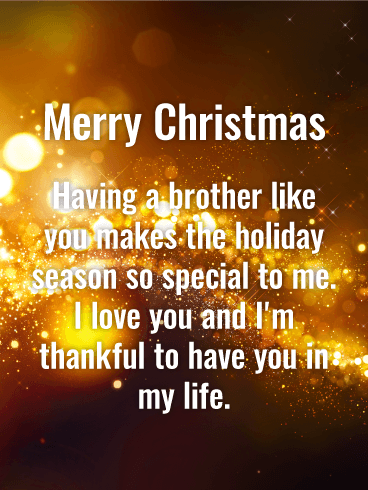 Family is so important during this time of the year, so there is no better time than now to show your brother how much you care for him. 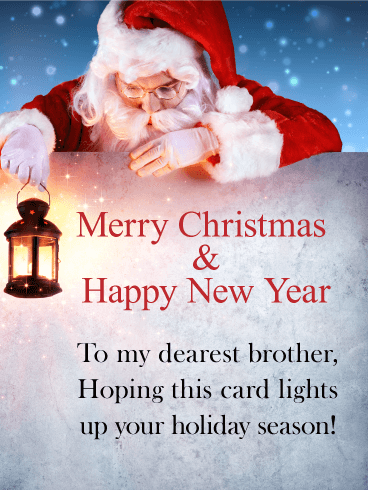 This Merry Christmas card is stunning with golden bursts of light gleaming throughout the background.